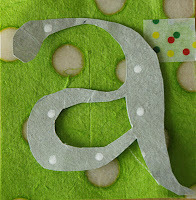 I have joined A letter a week 2012. I came across it at Paper Ponderings . It is a project that began in 2010 where each week one produces a letter (alphabet) creating 2 alphapets in the year and putting them together into a book or other format that takes your fancy. The quality and variety of work from the past two years is stunning. I thought this would be a good opportunity for me to revisit calligraphy which I loved in school so I dusted off my pens and nibs and began what seemed simple before I started, but actually doing it was another thing :( Each letter has to be on a square 7cm.x7cm. 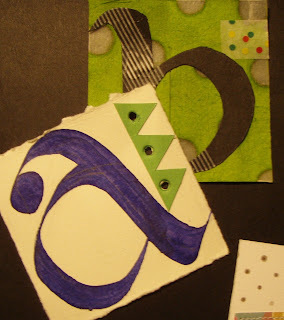 and to create some unity within the project circles or dots have to be incorporated into the design. Below are some of my first attempts. 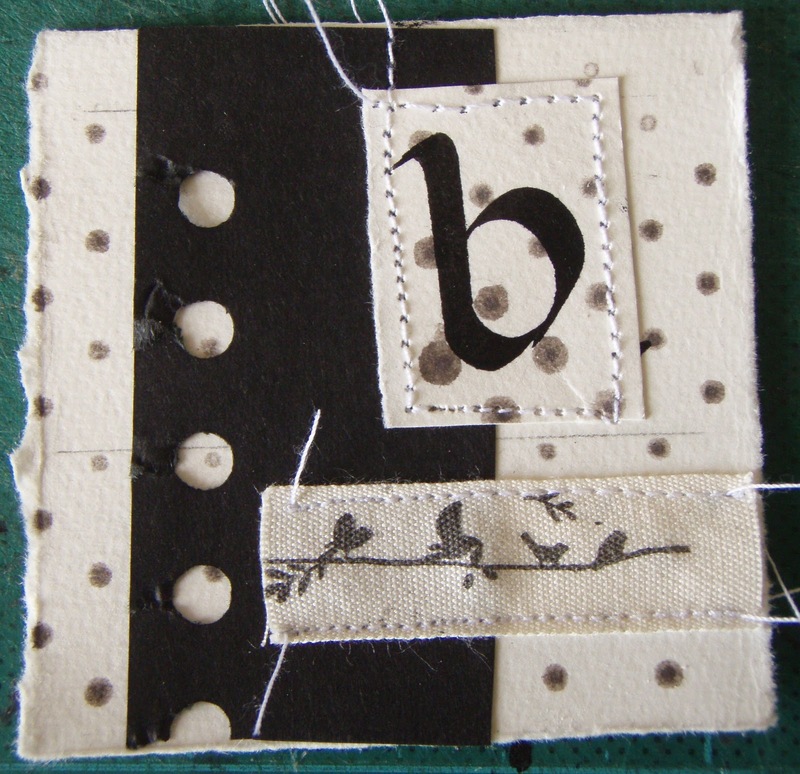 I decided to use a type writing stamps instead of creating the letters myself which rather defeats my initial motivation for taking on the project but perhaps by the time I get to the second alphabet I will have more confidence! 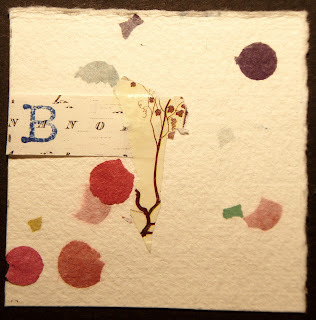 So using an old map, fabric and some beautiful hand made paper with paper dots I eventually decided on a theme and look.